This is trimming required for public safety. Tree Maintenance Inspectors will determine whether a tree's condition is an immediate hazard. 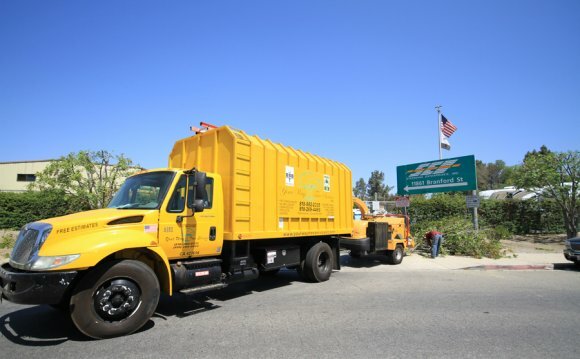 This is trimming of street trees required for public safety and may include trimming of vegetation on private property that encroaches on the public right-of-way. This service consists of removing lower limbs and other growth from street trees to provide adequate clearance for vehicles, cyclists, pedestrians, and construction activities. The City Street Division trims trees for vehicular and pedestrian clearances upon request only. No-Fee Street Tree Trimming Permits are available by calling (619) 236-5513. This quarterly schedule is based on the Citys FY Calendar (1 July  30 June). Only dead trees, or trees deemed an immediate hazard are removed from the right-of-way as soon as possible. All other removal requests are evaluated for preservation or removal, per City Council Policy 200-5. If the City determines the tree must be removed in order to repair other infrastructure, concurrence of the abutting property owner is required. The tree will be included on a list of proposed street tree removals, which is sent monthly to the City Council, Community Forest Advisory Board and all Community Planning Groups. If no objection to the proposed removal is received, the tree will be removed by City contractors. This includes full stump grinding. It can take up to 48 months from the determination date for the city to remove the tree and make any permanent concrete repairs. During this period, temporary asphalt ramping will be installed to alleviate any hazards in the public right-of-way. Lindow Common is a Site of Special Scientific Interest (SSSI) located on the western edge of the town of Wilmslow, Cheshire in the northwest of England. It is also designated a Local Nature Reserve.